The Fonix LED Limited team are experienced professionals in big screens, video production and event AV. Visit their stand at this year’s Showman’s Show where they will be showcasing the ultimate VR experience. Venture into a virtual world that Fonix brings to life, just one of the many innovative concepts it has to offer! The company offers end-to-end solutions, from concept creation and consumer/brand interaction through to bespoke screen design, technical expertise and seamless delivery of spectacular solutions. As a leading supplier of LED, Fonix has a wide range of products and seeks the latest innovations in the technology to provide clients with the best possible results. Whether it’s screen hire for an event, digital signage to make your retail experience more engaging or event TV and integrated live streaming to keep your audience entertained, it has the answer. 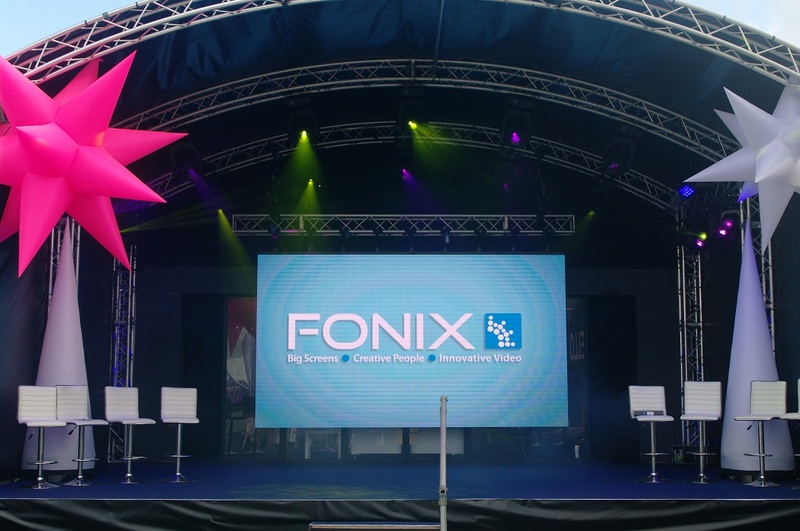 Fonix LED Ltd is one of the largest event equipment suppliers covering the UK, Europe and the Middle East, investing considerably in indoor and outdoor large screens ranging in specifications to meet the needs of any event. The company prides itself on being a solutions provider, it finds innovative and creative ideas to suit all objectives.